A family of four met a tragic accident on Thursday afternoon, November 30 at the national highway of Hacienda Remy in Bago City, Negros Occidental. 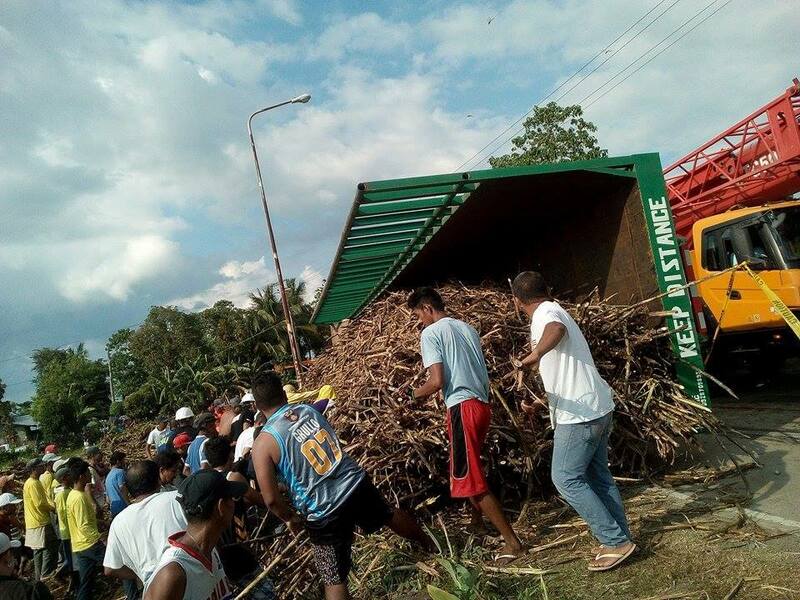 A 10-wheeler truck filled with sugar cane fell on their car, killing all the passengers, including a four-year-old boy. The passengers were identified to be Romulo Espinosa, 59, wife Josephine, 53, their daughter Christine Sarcia, 31 and her son Vincent John, 4. 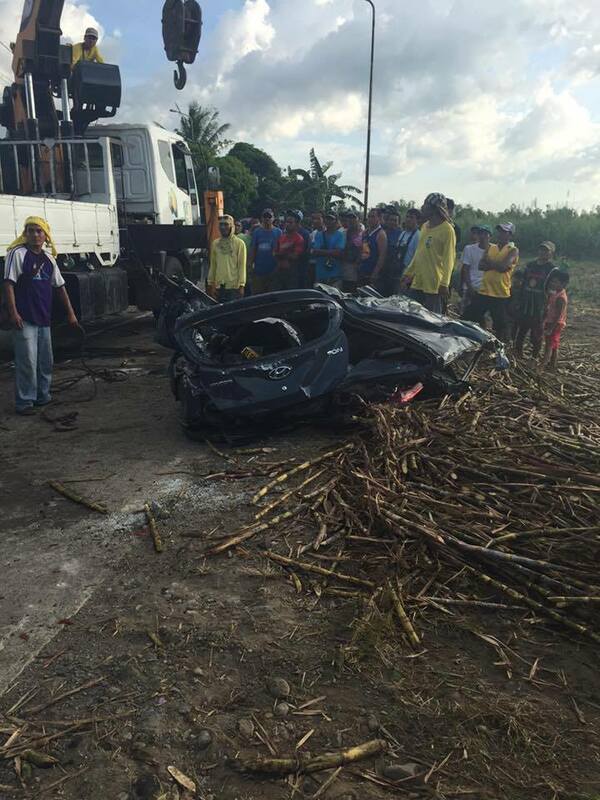 The family were on their way to La Carlota City when they met the accident around 1:30 in the afternoon. Upon investigation, Senior Inspector Hercules Trigue, deputy chief for administration of Bago City Police Station said that the approaching 10-wheeler truck swerved on the car’s lane. The driver of the truck Herman Mahometano, 58 lost control of the truck until it fell on its side and hit the car. The car was in total wreck and it took 30 minutes for the rescuers to retrieve the bodies. They had to request for a crane from a construction company to move the truck. Trigue added that Mahometano was unharmed but tried to escape. He eventually surrendered and is now detained at the police station. He may face charges of reckless imprudence resulting to multiple homicide.